This tutorial will guide you how to enable Hyper-V environment in Windows 10. CPU support for VM Monitor Mode Extension (VT-c on Intel CPU's). Type PowerShell in the Taskbar search bar, right-click on the PowerShell icon and click the Run As Administrator option from the menu. When the installation is done, restart your computer by typing Y and Enter. You will see the Configuring Windows Updates message during restart. Your computer might restart a few times. 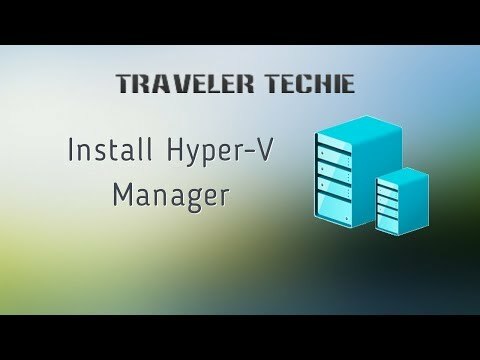 You will find the Hyper-V Manager on the Recently Added list on the Start menu.